Two Danone TV commercials produced by Y&R South Africa have featured within the top 10 list of Millward Brown’s ‘Best Liked Ads from the fourth quarter of 2013’. The Danone Yo-Jelly spot sits in fourth place, while the Danone Ultra Mel ‘Dear Santa’ ranks in sixth place. Millward Brown’s Best Liked Ads list recognises South Africa’s favourite TV commercials and their advertising agencies, as voted for by the general public (who they consider to be the most important critic). Their advertising testing system, Adtrack, conducts ‘best liked ads’ research and has been evaluating the impact of brand advertising in South Africa over the last 29 years. The catchy ‘Yo-Jelly’ spot stars two brothers competing for the last Yo-Jelly in the fridge, with one sibling being aided by Yo the Jellybird – the animated toucan Mascot. This was the second of a two-part campaign that explored the concept of sibling rivalry and featured an entertaining breakdancing competition between the two boys. 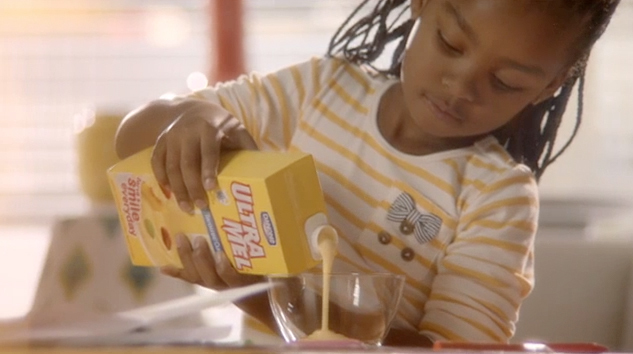 The Ultra Mel custard ‘Dear Santa’ commercial flighted over the holiday period and touched the hearts of South African consumers as it featured a little girl leaving a special gift of Ultra Mel Custard for Santa under the tree, along with her list of present requests.